Programmable logic controllers are electronic devices used to control a process. It consists of CPU; Input and output devices, power supply, communication and redundancy units. PLCs are preprogrammed based on their application and put into operation. A PLC accepts inputs from the field, process the input based on the programming done and outputs the commands to the field equipment. It can also accept commands from the plant operators through SCADA and give commands to the field equipment. 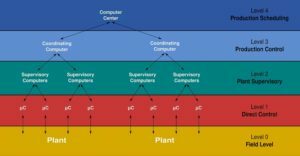 The features of PLCs vary from one manufacturer to the other but the basic architecture remains the same. RTU stands for remote terminal unit. I t is used to interface field devices with SCADA. Normally RTUs are used at remote stations to control equipment (for example, opening and closing of motorized valves in oil pipelines) located far away from the control station. Like PLCs, RTUs are programmable. RTUs can support multiple communication protocols at the same time. Limited number of input and output devices can be added to it. The primary function of RTUs is to collect telemetry data and control objects/equipment located at remote location. Also, it can be used as a protocol converter. RTUs shall be continuously communicating with SCADA at the base station. Distributed control system is designed to perform more complex and geographically larger industrial processes. The whole industrial process is divided into various control zones and is controlled by dedicated autonomous controllers. Field devices communicate with the controllers at the particular zone of control. 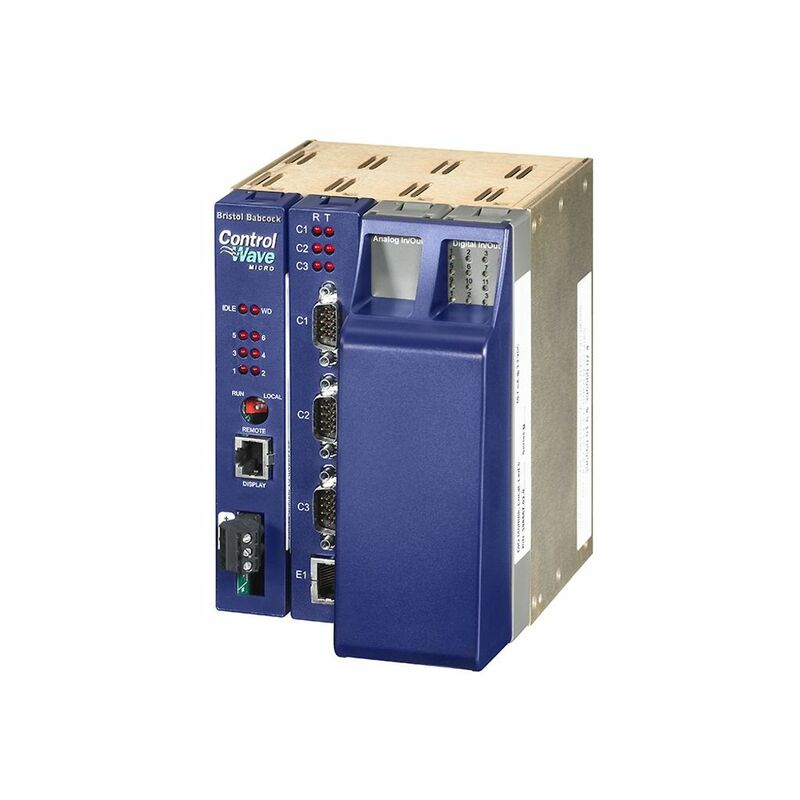 These controllers are interconnected through high speed communication network and are connected to engineering PC where overall control, monitoring, data logging and alarming functions occurs. 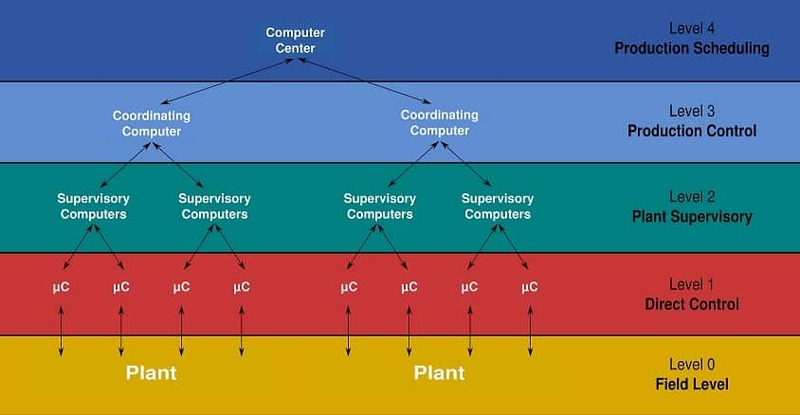 In a distributed control system, control decisions are made by the plant operator rather than the controllers itself. DCS is a pre-engineered solution that requires configuration rather than programming (as that of PLC). PAC can be considered as combination of PLC, RTU, DCS and PC. It has the discrete control capabilities of PLC, multitasking and storage capabilities of a PC, multi-protocol communication and remote operation capabilities of RTU and huge I/O handling capabilities of DCS. 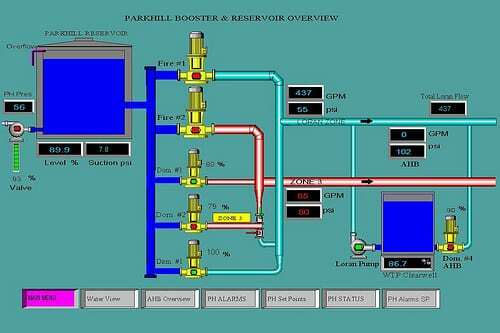 Supervisory control and data acquisition system is a software interface that offers plant operators ease of control and supervision over various equipment in the industry/plant. In addition it performs data acquisition also. The operator can monitor parameters and give commands to the field equipment through PLC/ SCADA. SCADA cannot directly communicate to the field equipment but through PLC. All data from the field goes to the I/O modules in the PLC and is stored in specific memory locations or registers. SCADA in turn reads or writes to those memory locations. The entire control logic is saved in the PLC and not in the SCADA.